We announced Shadowhand in September, 2015 and rapidly put together a demo to try out on the public at EGX. The concept was something of a prequel to Regency Solitaire, featuring one of the older characters from this Regency Romance in her wild youth, 40 years earlier. While I was getting immersed in the history of the 1770s, with masquerade balls, highwaymen, smugglers and tricorns, Jake devised a novel game mechanic: turn-based combat driven by solitaire rather than dice rolls. As far as we could tell, this was the first time this had ever been done. 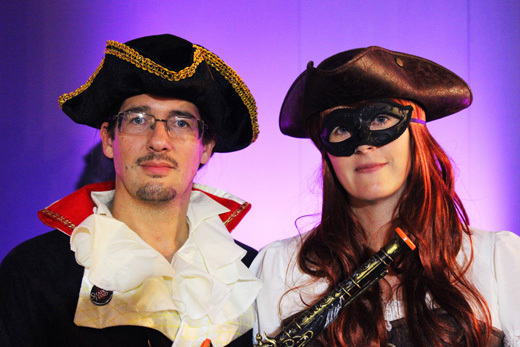 Positech Games arranged for us to exhibit Shadowhand at EGX in Birmingham. So we spent four days cosplaying as highway robbers and demoing our game. It was an exhausting time but the super-positive reception we got from players and press gave us confidence that we were on the right track with the game. We were hoping that Shadowhand would take maybe 12-18 months, but in the end we have spent over two years developing the game. 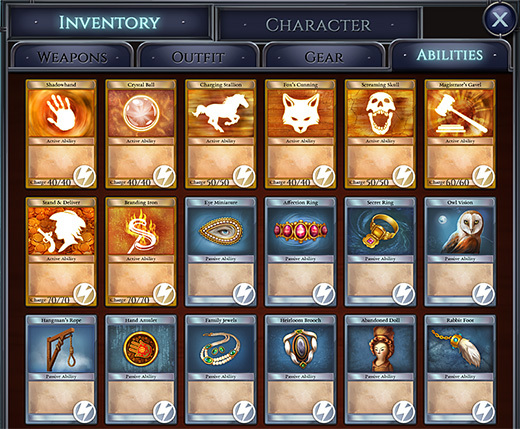 Some of the extra time had to do with fine-tuning art and adding a lot of content, such as a multitude of enemies, items and collectible cards. But the other factor that has taken longer was building and balancing a turn-based RPG. This is very complicated! There is a huge amount going on behind the scenes and we really wanted to get this right and provide a good level of challenge, choice and strategy to the highwaywoman experience. The final weeks in the run up to launch have been exhausting as we have been working around the clock to make sure everything is ready. Now we are finally at the finish line with launch day tomorrow – December 7th. We are really proud of what we have accomplished and are already getting great feedback on the game from those who have tried it. It really is time to stand and deliver! This entry was posted on Wednesday, December 6th, 2017 at 1:49 pm and is filed under Developer Diary, Game Development, Grey Alien Games. You can follow any responses to this entry through the RSS 2.0 feed. Both comments and pings are currently closed. I accidentally ran into Jake at GDC 2017, he was sitting at the same table at the hotel as I, and when I realized who he was, I mentioned that I was a fan of Regency Solitaire. He graciously and unexpectedly tossed me a beta key for Shadowhand, and I’ve been following the blog for a while now. Just wanted to say that you folks are doing great work and congrats on the release tomorrow! I’m excited to play the full game, and I’ll be talking it up to my co-workers!